I’m excited to share the lovely cover of Walks in the Wild, which is out in my translation on 4 July 2019 from Rider Books UK. I think perhaps The Hidden Life of Trees is still my favourite (brilliantly translated by Jane Billingshurst), but I am rather proud to have worked on this one and I adore the cover. Can you tell the difference between wolf and dog prints? Which trees are best to shelter under a storm? How do you tell a deciduous and coniferous tree apart? 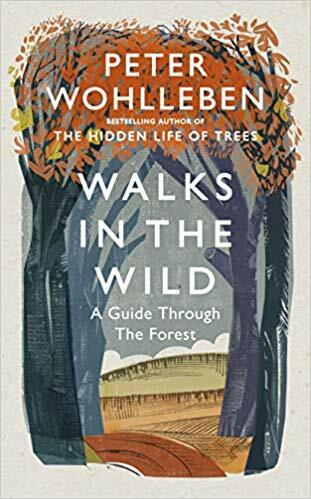 Bestselling author of The Hidden Life of trees, Peter Wohlleben, lets you in on the quintessentials of his forestry knowledge. He invites you on an atmospheric journey of discovery. Learn to find your way around the woods without a compass or GPS, which berries and mushrooms are good to eat, how to read animal tracks and what it’s like to spend a night alone in a forest. Walks in the Wild has everything you need to make a woodland walk – be it spring, summer, autumn or winter – into a very special experience. Previous The Magic Story Shop has a cover!